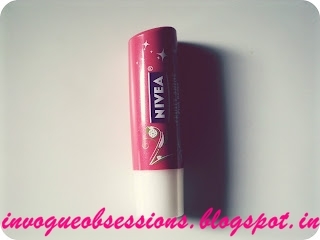 My Current Obsession lies in: Nivea Fruity Shine Pink Guava. Finding My Lips but better was like Finding Neverland. 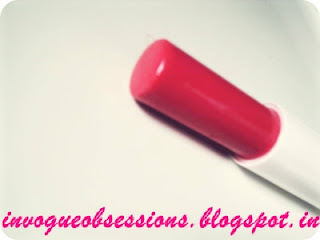 I am in ♥ all over again with my Obssession for Lipbalms. I have to admit, I catergorize my Lipbalms. My favourites change with season and my moods. Days when I want plain, shiny lips and others when I wear just a hint of color. I am no Lipstick fan, especially the Dark ones. I Love sheer color and nudes. But with Tinted Lipbalms! Who needs Lipsticks anyways? 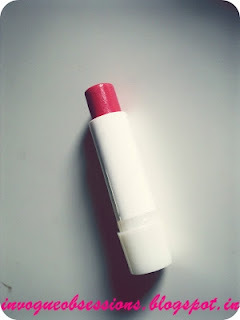 Coming to the point, I've found my MLLB, that too a Lipbalm. Days when I'm a fuss and moody, Maybelline Hypercurl Mascara and Nivea Fruity Shine Pink Guava, is what all stay by my side. I hate the feeling of having something on my lips, but with this I don't care. This one makes my lips, irresistable to fold them together to feel it is there, right there giving all the love and color my lips need. No, No I am not reviewing this, I'm sure already everybody has. I'm just overcoming my obsession I have for this pretty Pink Color. Well you can check the pictures, won't you? Nice Review, I have the one in cherry! !